The Italian island of Sardinia is idyllic retaining its rugged and natural beauty with its crystal clear Mediterranean waters and white sandy beaches, luscious green hills on the interior and ancient ruins telling a story of years gone by. Accessible by air or ferry from mainland Italy or France, Sardinia has something to offer every avid traveller. 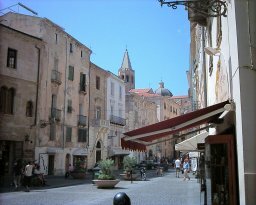 The old town of Alghero, on the northern Sardinian coast is a great place to spend a day or even a weekend to soak up the distinctly Catalan feel to it dating from the XIVth century. Things to see in and around the old quarter include the Cathedral, the port, the Piazza Civica and the numerous towers along the coastal wall protecting the town. While walking the streets you can also do a bit of window shopping at the numerous boutiques and souvenir shops before stopping for a gelati in one of the many cafes. Just outside Alghero other sites of interest include Neptune's Grotto, accessible by boat from the port, Anghelu Ruju - a nuraghic site and the nuraghe of Palmavera. There are thousands of Nuraghi on the Island of Sardinia. The nuraghi are stone built towers where the Nurghic people settled. Some date back as far as 1500 B.C. and are a testament to the architectural prowess of Sardinia's first inhabitants. 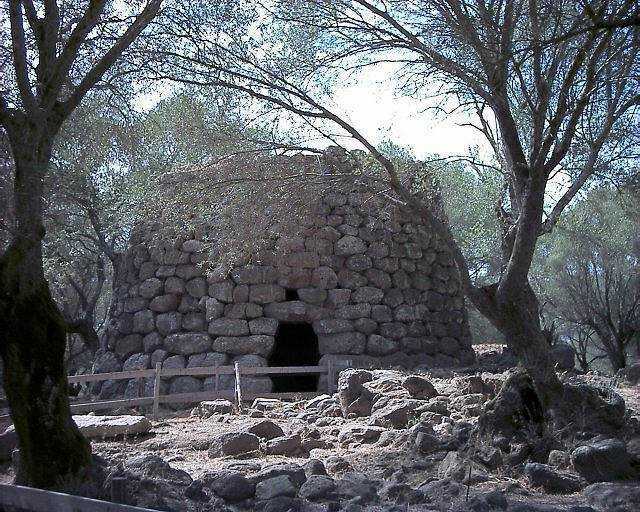 The oldest, biggest and best-known Nuraghe is Su Nuraxi, south of Oristano and north of Cagliari, but if you can't get there, don't worry, there are only a few 1000 more around the island to visit and are well sign-posted for visitors. With the Gulf of Oristano as a backdrop and a Spanish tower overlooking it, the ancient Roman ruins of Tharros are popular amongst visitors to Sardinia. The settlement dates back to around 800 B.C. when the Phoenicians first settled on the peninsula. Among the ruins are ancient baths, aqueducts, temples, houses and the two upright columns just off the sea. A small entrance fee is due to visit the site and it is well worth a look. Cagliari is the hub of Sardinia and boasts a beautiful old district or "Castello", an Archeological Museum with an excellent collection of Nuraghic artefacts, botanical gardens and an impressive port. The village of S'Archittu can be found on the western coast of Sardinia about 10 km north of the town of Riola. 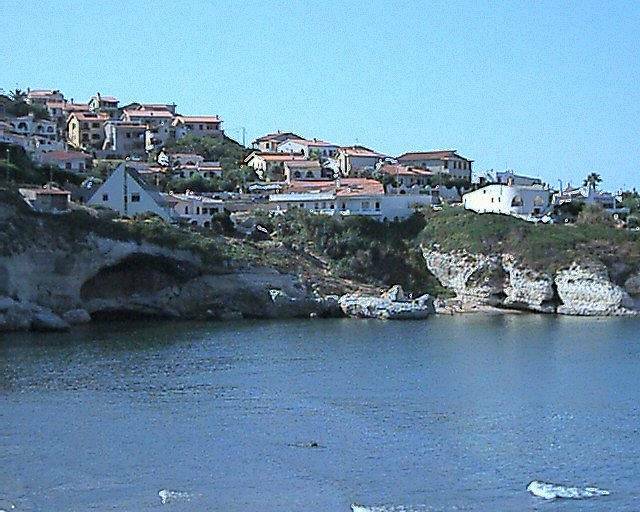 The village has a great beach for sunbathers, snorkellers and children alike. Located in a small bay, the beach is approximately 1 km long, has several cafes and pizzerias on the promenade above, plenty of rock pools for the kids and some excellent snorkelling on the mediterranean "reef". Besides this, the village has a few markets, a general store and a butcher. About 10 kms north of Olbia the Costa Smeralda is known for its holiday villas, beautiful beaches and opulence in the marina of Porto Cervo. Beaches are not in short supply in Sardinia, just take your pick. Don't forget you towel, sun screen, hat, sun glasses, a good book and your snorkelling gear. Some of the better ones are in the Costa Smeralda and others include Is Arutas, Is Arenas and San Giovanni di Sinis. On the east coast near the marina of Orosei you can spend the day at the beautiful beach there or hop on a boat tour taking you several beaufiful coves in the area. Make sure to get there early to book your place. 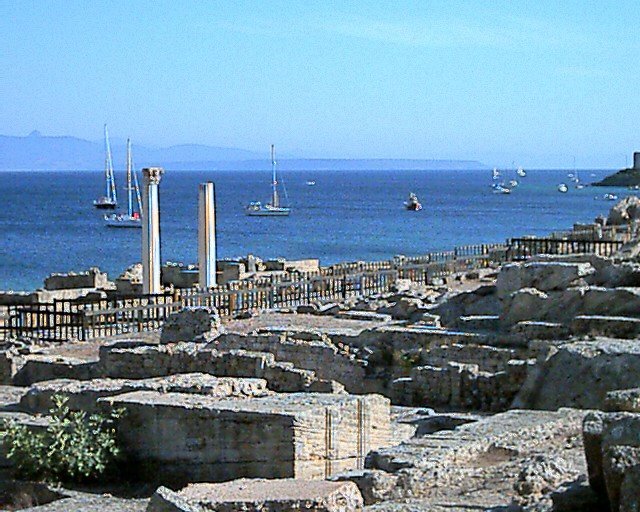 There are ancient Nuraghic and Roman ruins all over Sardinia, San Cristina and Tharros are just two of them. As you drive through the island, you will be able to spot the brown signs directing you to the Nuraghe that dot the island. Sardinia has some of the best diving in the mediterranean. You can find out about our dive in Sardinia by visiting Sardinia Diving page. With virtually any toppings you can imagine, a thin based pizza makes for a great meal. Sardinian wine is quite good, but you won't have to stick to the island wine exclusively, you'll be able to find wines from all over the mainland at any market. A good and popular Sardinian beer is Ichnusa. Being an island, you would expect Sardinia to have excellent seafood and it does, you won't be disappointed. Italy and Pasta are synonymous. Try all the different varieties including spaghetti, linguine, tagliatelle and ravioli served with different sauces. Italians have a love affair with coffee. Cappucino, latte and espresso are all Italian styles of coffee. If you would like a western long coffee with milk, ask for an Americano, they'll know what you are asking for. Mozarella, Provolone, Parmesan and Pecorino are all widely available in supermarkets. In the summer months, when local produce is in season, you'll be able to savour succulent peaches, delicious watermelons and crimson red tomatoes. Sardinia has excellent breads. You can choose from rustic style loaves or local specialities like the "carta da musica" thin crispy bread. You can find excellent hotels all around Sardinia. Many of the main hotel sites will have listings for you in Sardinia. Find Sardinia Hotels. Search for and book a hostel accommodation in Sardinia. 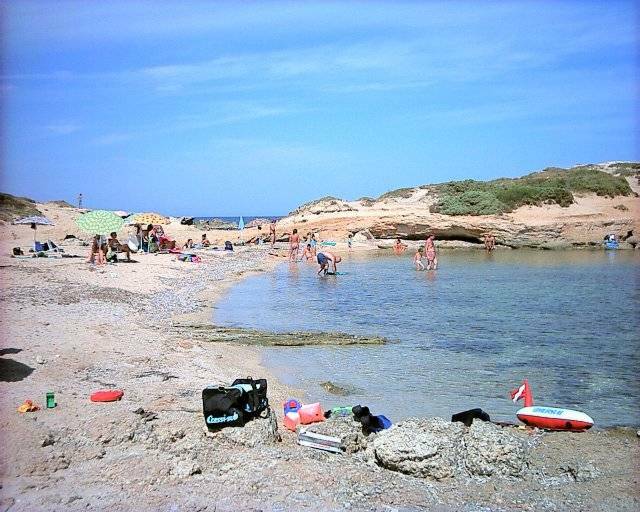 A good campsite located in the Sinis Peninsula on the western coast of Sardinia is www.nurapolis.it. The facilities include a pizzeria, store, washrooms and showers, bar and tennis courts. The staff are friendly and the campsite is only 150 metres from a beautiful 3 kilometre long beach. Information on the airport of Alghero, Fertilia Airport, and the surroundings can be found at www.aeroportodialghero.it/home_en.asp. There are also airports in Cagliari and Olbia. There are frequent ferries from Corsica and the Italian and French mainlands. You can find ferries from France and Corsica at www.sncm.fr and from Italy at www.gruppotirrenia.it or www.mobylines.com. Car rental is your best option in Sardinia as getting from point A to point B is relatively difficult with public transport. ARST buses serve the island. Sardinians are friendly and helpful whenever they can be. Although there may be a language barrier, they'll try their best to understand and help you on your quest or query.